Тут розміщена бібліографія творів Селінджера, перекладів, книг про нього і його творчість з зображенням обкладинок деяких з них. Salinger Jerome David. The Catcher in the Rye. Boston: Little, Brown, 1951, 277 pages. Salinger Jerome David. Nine Stories. Salinger Jerome David. Franny and Zooey. Зміст: 21 невиданий твір - 20 оповідань (крім Go See Eddie) та повість "Шістнадцятий день Хепворту 1924 року", яку американська критика теж важає за оповідання. Двохтомник у твердій оправі виданий у 1974 році, стверджують, що було продано двадцять п'ять тисяч копій. Книга містить машинописні варіанти оповідань. Існує чутка, що видавець був змушений полишити США, щоб уникнути арешту ФБР, ще одна стверджує, що під іменем "Джон Гріндберг", виступає організація хіпі. У 80-х Селінджер вів справжню війну з книгопродавцями, що збували цю книгу, вони понесли велетенські збитки, і після того ранні оповідання в США практично не знайдеш. Цей твір раніше відносили до невиданих творів Селінджера, але це видання можна знайти у списку Amazon.com та у каталозі Бібліотеки конгресу. Дата публікації проте точно не відома, вона постійно відкладається. У 2002 повідомили, що видання не буде. Нова "піратська книга", що містить всі 22 твори, які не перевидаються у одному томі. Книга блакитна з паперовим кільцем навколо обкладинки. Тираж 1. 000 примірників. Книга з'явилась у США у 1998, продавалась у підпільних магазинах та на базарах, багато людей змогли її прочитати. This book contains twenty short stories and two novellas that have never before been collected or published outside of their original magazine appearences due to the wishes of the author who has declined to publish any of his work since 1965. Stories collected here for the first time include two 30,000 word novellas (The Inverted Forest & Hapworth 16, 1924), two stories featuring Holden Caulfield in expanded scenes from The Catcher in the Rye (I'm Crazy & Slight Rebellion Off Madison), and the Babe Gladwaller and Vincent Caulfield series (Last Day of the Last Furlough, This Sandwich Has No Mayonnaise & The Stranger). 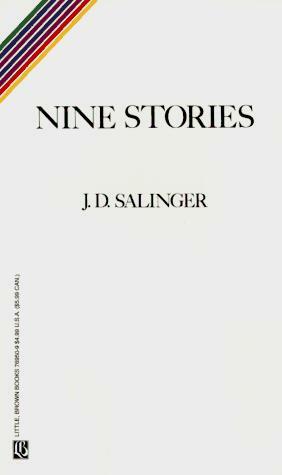 This collection includes all known works by Salinger not already widely available. Англійський текст, вступ і примітки російською. Двохтомник, що містить всі 22 невидані твори Селінджера. Існує два перевидання книги Джона Гріндберга (The Complete Uncollected Short Stories of J. D. Salinger, Volume 1 and 2, John Greenberg, Berkeley, CA, 1974) у кінці 70тих. Проте навряд чи вони були зроблені тими ж людьми, що й перша книга. Ці перевидання більш професійно зроблені, відкоректовані, краще набрані і включають оповідання "Побачся з Едді" (Go See Eddie). Salinger Jerome David. 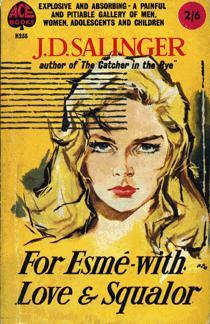 For Esmé - With Love and Squalor and Other Stories. У Великобританії "Дев'ять оповідань" вийшли під назвою "Для Есме з любов'ю й усілякою мерзотою та інші оповідання". Напис на обкладинці: Explosive and absorbing - A painful and pitiable gallery of men, women, adolescents, and children (Нестримно і захопливо - болісна і жалісна галерея чоловіків, жінок, підлітків та дітей). Двохтомник, що містить всі 22 невидані твори Селінджера з гарною картиною на обкладинці (ілюстрація до "Стороннього" з журналу "Кольєрс") й дивною назвою, що обігрує "Шістнадцятий день Хепворту 1924 року" (Hapworth 16 1924) - останнього твору Селінджера, його ж перше оповідання "Підлітки", було видане саме у березні 1940. Salinger Jerome David. Nine Stories. Franny and Zooey. Raise High the Roof Beam, Carpenters. Consolidated Book Publishers Inc., 153 North Michigan Avenue, Chicago 1942 and 1943. This "Kit Book" was put together for American soldiers in World War II to bring along in their pack, or "kit". It was printed on very poor paper and never intended to be saved or collected. For this reason, though there are many copies available, most are in very poor condition. It was published for two years, from 1942 through 1943. New York: Random House, 1946, pp. 314-320. New York: Dutton, 1949, pp. 153-162. 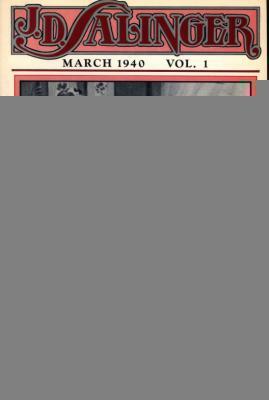 Boston: Houghton Mifflin Co., 1949, pp. 248-260. New York: Putnam's, 1958, pp. 187-197. At long last, another of Salinger's "lost" stories is widely published. This time it's a Holden Caulfield story that served as a warmup for Catcher. Сэлинджер Джером Дейвид. Над пропастью во ржи: Повесть; Рассказы. 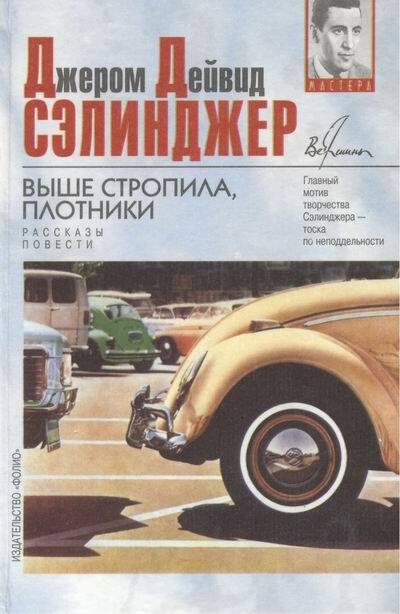 Харьков: Фолио, 1998, оправа, 400 с.
Видана в Україні, але російською. 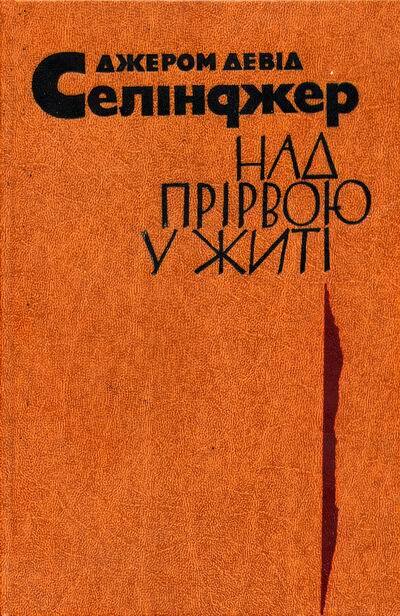 Книга включає "Над прірвою у житі" (пер. Ріти Райт-Ковальової) та "Оповідання (1940-1948)" - ранні твори Селінджера (19, за виключенням "Легкий бунт на Медісон-авеню" та "Я божевільний"). [Kharkov: Folio, 1998, hardcover, 400 pages. ISBN 966-03-0536-2. Published in Ukraine but in Russian language. 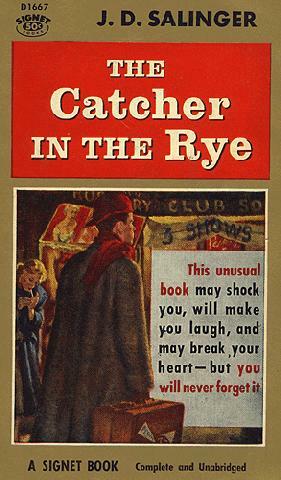 Book include "Catcher in the Rye" (translated by Rita Rait-Kovaleva) and "Stories (1940-1948)" - Salinger's "underpublished" stories (19, without Slight Rebellion on Madison, I'm Crazy)]. Сэлинджер Джером Дейвид. Выше стропила, плотники: Повести; Рассказы. Перевод Р.Райт-Ковалевой, Н.Галь, С.Митиной, И.Бернштейн. 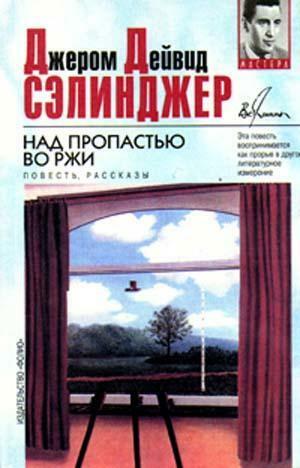 Харьков: Фолио, 1999, оправа, 480 с.
Видана в Україні, але російською. Книга включає: "Дев'ять оповідань", "Френні", "Зуї", "Вище крокви, будівничі", "Сеймур: Вступ", "Шістнадцятий день Хепвотру 1924 року"). [Kharkov: Folio, 1999, hardcover, 480 pages. ISBN 966-03-0587-2. Published in Ukraine but in Russian language. Book include "Nine Strories", "Franny", "Zooey", "Raise High the Roof Beam, Carpenters", "Seymour: An Introduction", "Hapworth 16, 1924" ]. Селінджер Джером Девід. Над прірвою у житі. Переклад О.Логвиненка, О.Тереха, Ю.Покальчука, О.Сенюк. Київ: Молодь, 1984, оправа, 272 с.
Перше (настільки мені відомо) видання творів Селінджера в Україні, і останнє на сьогодні. Включає "Ловця у житі" (Під назвою "Над прірвою у житі"), "Вище крокви, будівничі", "Френні", "Тупташка-невдашка". Ця книга містить п'ять ранніх оповідань Селінджера. Що цікаво, це цілком легальне видання - Селінджер дозволив видати ці твори у Японії, але забороняє перевидавати їх у США. This book contains these five stories, all translated into Japanese. It is quite odd that Salinger would let them be published in Japan but not in the USA. It is a legitimate publication, though, and not a bootleg. There was a short run of a translated Hapworth in Italy, unauthorized and soon withdrawn. 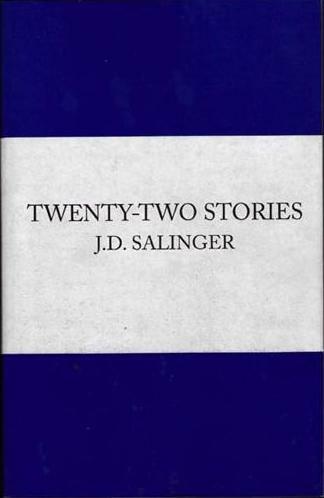 Einaudi, the authorized Italian publisher for Salinger, took action against the publisher. Alexander Paul. JD Salinger: A Biography. Elman Richard. Namedropping: Mostly Literary Memoirs. "'My book?' His voice was low, confident, and confidential, from the driver's seat of his Jaguar sedan where he sat behind the wheel. 'Richard,' he said, 'it's really nice not to have to publish anything until the work is completed...and that's real nice, Richard.'" Hamilton Ian. In Search of J. D. Salinger. Ian Hamilton recounts his attempts at writing a biography of JDS. Probably more insight into the man comes from JDS' lawsuit to stop the publication of this book. The notable event herein is the admission by JDS that he does continue to write even though nothing new has been published since 1965. This book was substantially rewritten in response to the Salinger v. Random House copyright-infringement suit. The original contained lengthy portions of Salinger's letters and his unpublished stories. The final version would have been quite skimpy without these quotes so it was filled out with a blow-by-blow of the lawsuit. 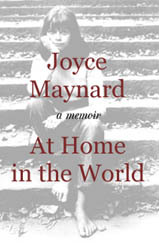 Maynard Joyce. At Home in the World. Мемуари колишньої коханки Селінджера. Вона прожила з ним кілька місяців у 1972, коли їй було 18. 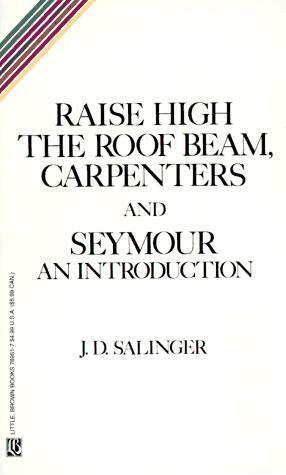 Ms. Maynard went to live with Salinger for nine months in 1972 when she was 18. She has had a writing career of her own but, decided to publish a memoir of her relationship with Salinger and her letters from him. Salinger Margaret. The Dream Catcher. 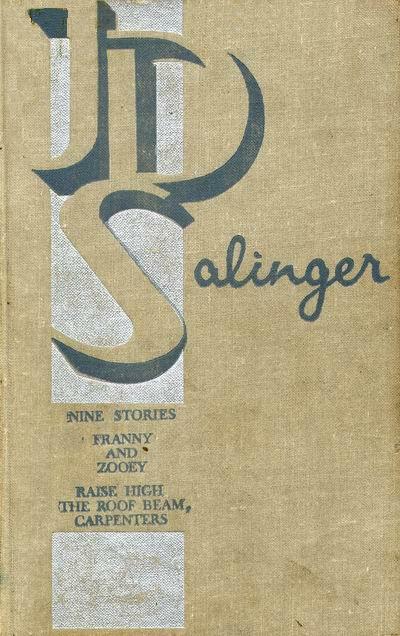 Salinger's daughter writes about her life and her famous father. The pleasantest task your Editorial Board can undertake is the sponsoring of a new, young American novelist, such as Mr. Salinger. Perhaps, come to think of it, 'brilliant' is an unsatisfactory adjective......That rare miracle of fiction has again come to pass: a human being has been created out of ink, paper, and the imagination. Gwynn Frederick L. and Blotner Joseph L. The Fiction of J. D. Salinger. Fiene Donald M. A Bibliographical Study of J. D. Salinger: Life, Work and Reputation. Anatole Henry, ed. Grunwald. Salinger: A Critical and Personal Portrait. A pocket book of criticism. French Warren G. J. D. Salinger. Gwynn Frederick L. L'oeuvre Romanesque de J. D. Salinger. Simonson Harold Peter. 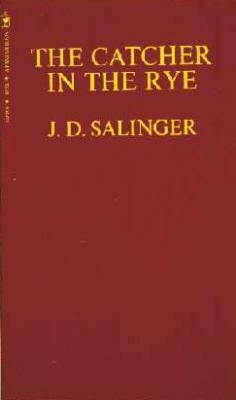 Salinger's "Catcher in the Rye": Clamor vs. Criticism. Marsden Malcolm M. If You Really Want to Know: a Catcher Casebook. Miller James Edwin. J. D. Salinger. Hamilton Kenneth. J. D. Salinger. Miller James Edwin. Quests Surd and Absurd; Essays in American Literature. Harper Howard M. Desperate Faith : a Study of Bellow, Salinger, Mailer, Baldwin and Updike. Hipkiss Robert A. Jack Kerouac, Prophet of the New Romanticism : A Critical Study of the Published Works of Kerouac and a Comparison of Them to Those of J. D. Salinger. Rosen Gerald. Zen in the Art of J. D. Salinger. Starosciak Kenneth. 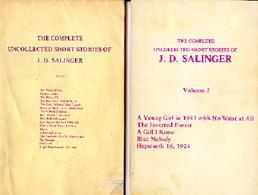 J. D. Salinger: 30 Year Bibliography 1938-1968. Lundquist James. J. D. Salinger. Rose-Werle Kordula. Harlekinade : Genealogie u. Metamorphose : Struktur und Deutung d. Motivs bei J. D. Salinger u. V. Nabokov. Galloway David. The Absurd Hero in American Fiction : Updike, Styron, Bellow, Salinger. Alsen Eberhard. Salinger's Glass Stories As a Composite Novel. Workman Brooke. Writing Seminars in the Content Area : In Search of Hemingway, Salinger, and Steinbeck. Sublette Jack R. J. D. Salinger : An Annotated Bibliography, 1938-1981. Bloom Harold, ed. Golding William. J.D. Salinger (Modern Critical Views). Salzberg Joel. Critical Essays on Salinger's The Catcher in the Rye. Salzman Jack. New essays on the Catcher in the Rye. Pinsker Sanford. The Catcher in the Rye: Innocence Under Pressure. "Rick Karr speaks with Pulitzer Prize winner William Kennedy about why the J.D. Salinger short story -- which turns fifty this year -- may be Salinger's most perfect work." Simonson H. P. Salinger's Catcher in the Rye Clamor Vs. Criticism. Pinsker Sanford, Pinsker Ann. 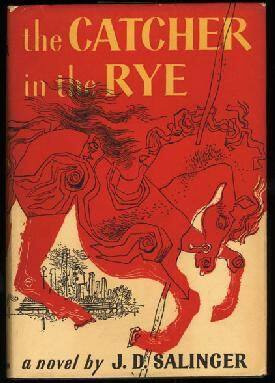 Understanding the Catcher in the Rye: A Student Casebook.